Travel to a new world later this year when Age of Wonders: Planetfall launches on August 6th. Take a look at a brand new story trailer while you wait and pre-order today! It's been almost 5 years since we got a new Age of Wonders game, but soon that'll change as the next entry in the series "Age of Wonders: Planetfall" is heading our way later this year on August 6th. Players will explore the remnants of the Star Union, which was once a vast empire that included thousands of worlds and has now been torn apart by time itself. Learn more about the Vanguard Faction in a new trailer that sees them heading back to their fallen empire for the first time. Players will be able to enjoy tactical turn based combat on a new planet that is rich with secrets to uncover and wonders to behold. What lurks on the planet? Explore the world to find out and encounter rival factions that stand in your way. Build your empire and lead your colony into the future with a variety of technologies at your disposal. Each of the 6 factions will play differently, from the dinosaur-riding Amazons to the cyborg-zombies of the Assembly. Fight, build and negotiate peace to survive! Discover a rich single player campaign, or fight against others with the variety of multiplayer modes. Age of Wonders: Planetfall launches on August 6th. 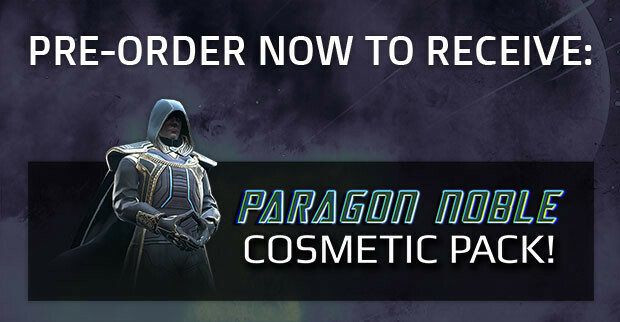 You can pre-order the game today to save and get bonuses, including the Paragon Noble Cosmetic Pack fore all pre-orders!